Tracy Donegan, Founder and President of GentleBirth, and author of ‘The Better Birth Book’ is a medically trained midwife, published author and positive birth expert. 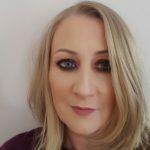 Born in Ireland, Tracy has lived and worked on three continents and currently lives in Silicon Valley, California with her husband and two boys. As a popular guest speaker she represents GentleBirth at conferences around the world and remains at the forefront of the global positive birth movement. Tracy is the force that drives GentleBirth’s continued innovation in childbirth education. As a mum who has had 2 births without Gentlebirth and 2 births, using Gentlebirth practices, I can wholeheartedly recommend it!